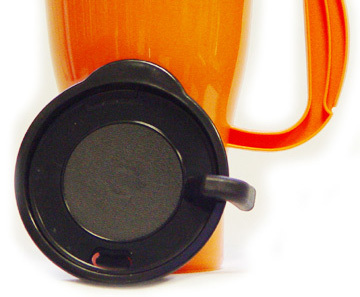 This bright orange travel mug has a removable lid with a sipping valve you can open and close. 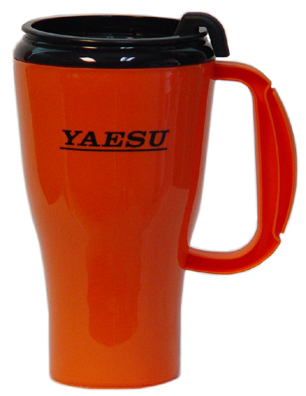 It features the Yaesu logo and holds 16 oz. Made in the U.S.A. by Omega. This is not a Yaesu product. This mug will be included with your FT-2980R order at no extra charge for a limited time. Copyright 2017-2018, Universal Radio, Inc.